This is one of those things which sounds so unattractive on paper but in reality is something quite special. 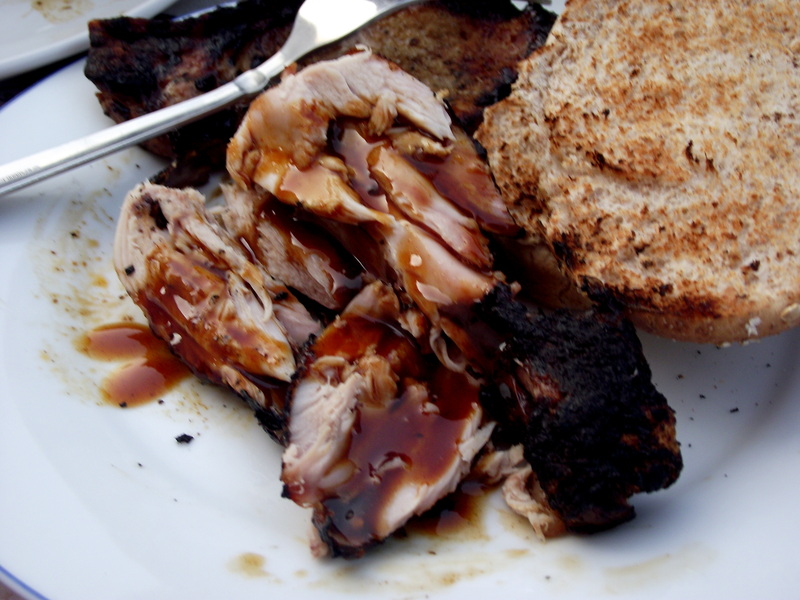 The words ‘dry rub’ never sound promising when talking about meat, and the vinegar brine is deeply unappealing, but together they make for unbelievably tender meat with a flavoursome crust and treacle-y sauce – it wouldn’t be an overstatement to say that this is one of the best chicken recipes I’ve ever tried. It’s from Smitten Kitchen, except we finished ours off on the barbecue – you could do the same under the grill but I imagine it wouldn’t be as fun. 1. 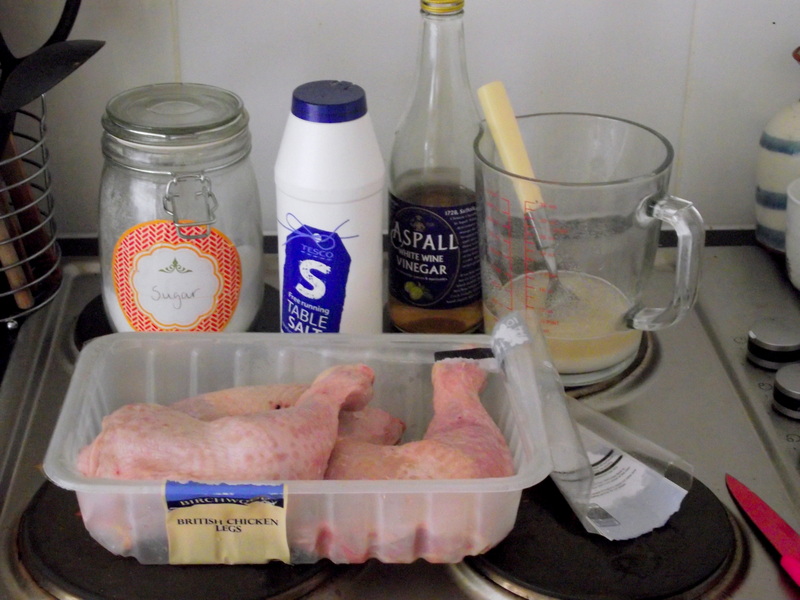 Start by brining your chicken pieces. 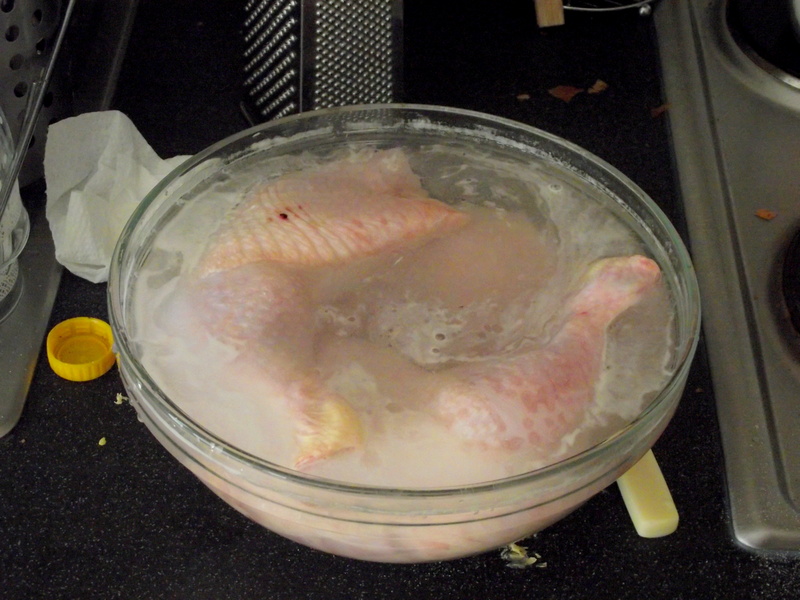 Mix the brine ingredients in a large glass or plastic bowl, add the chicken, cover and leave for 1-6 hours in the fridge. It looks repulsive. 2. 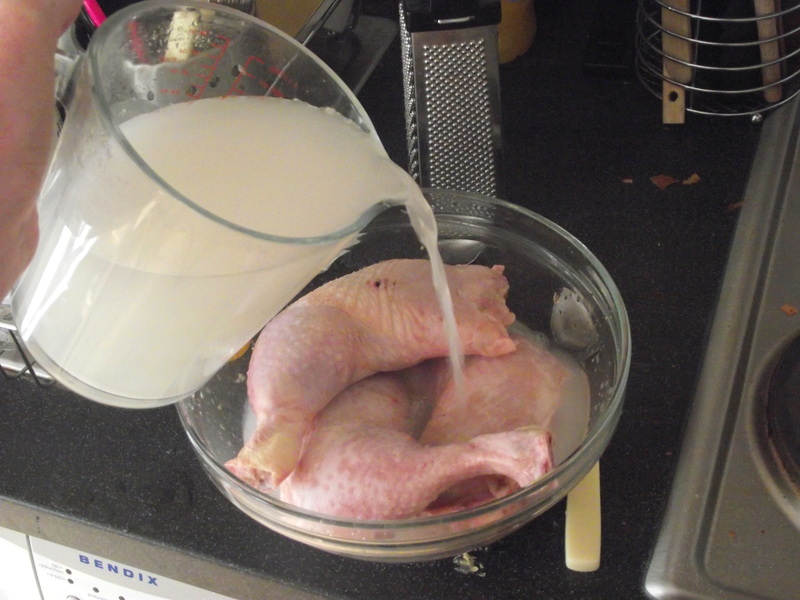 Remove the chicken from the brine and pat dry with kitchen towel. 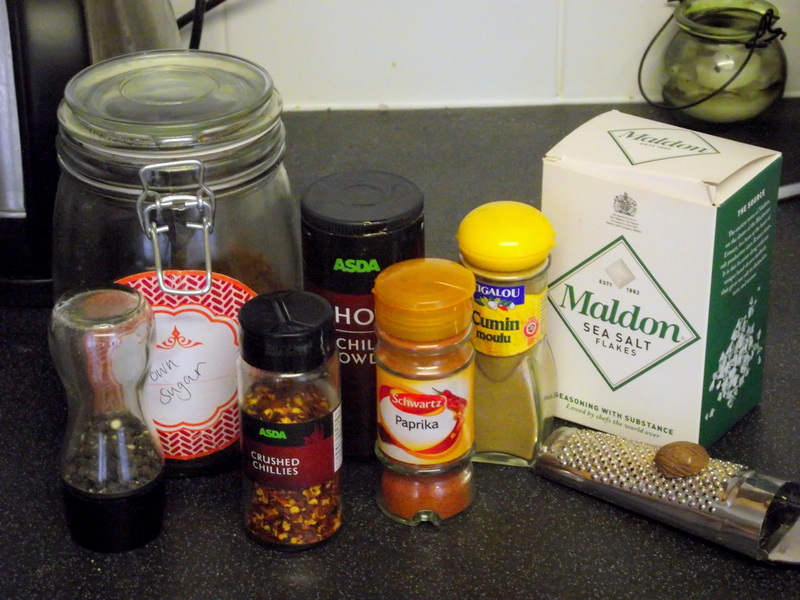 Mix together the dry rub ingredients in a small bowl. 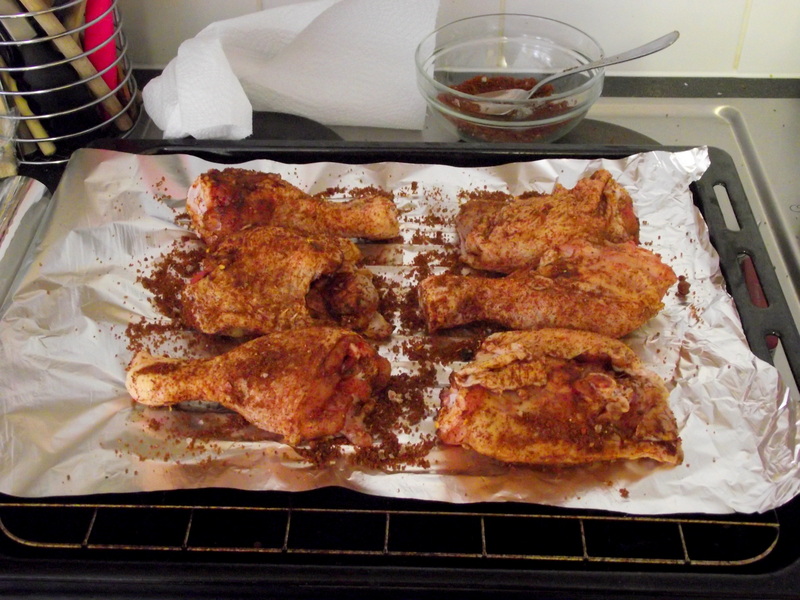 Place the chicken on a large piece of foil (big enough to create a packet later on) and rub the spice mix all over each piece. Use as much of the mix as you can, although there will be some left over. 3. 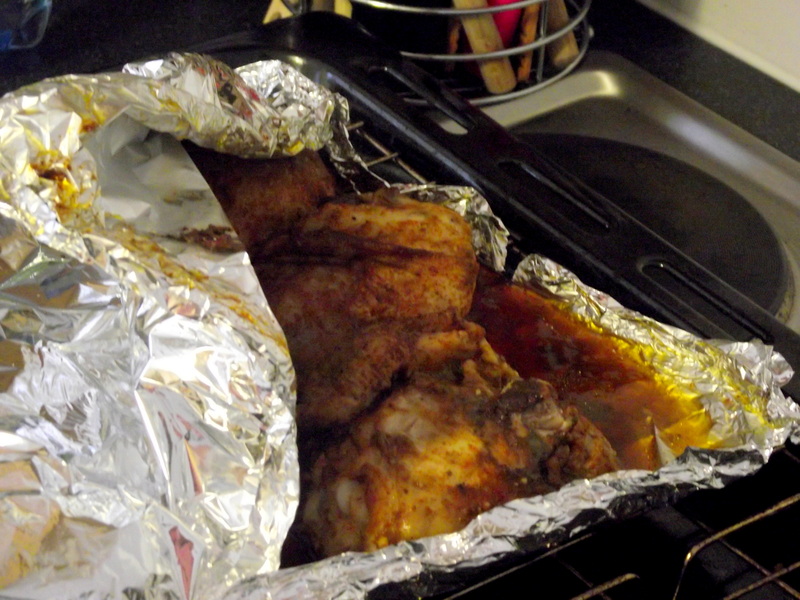 Turn the chicken so that the meatiest sides are facing downwards, then fold over the foil and tightly seal it. 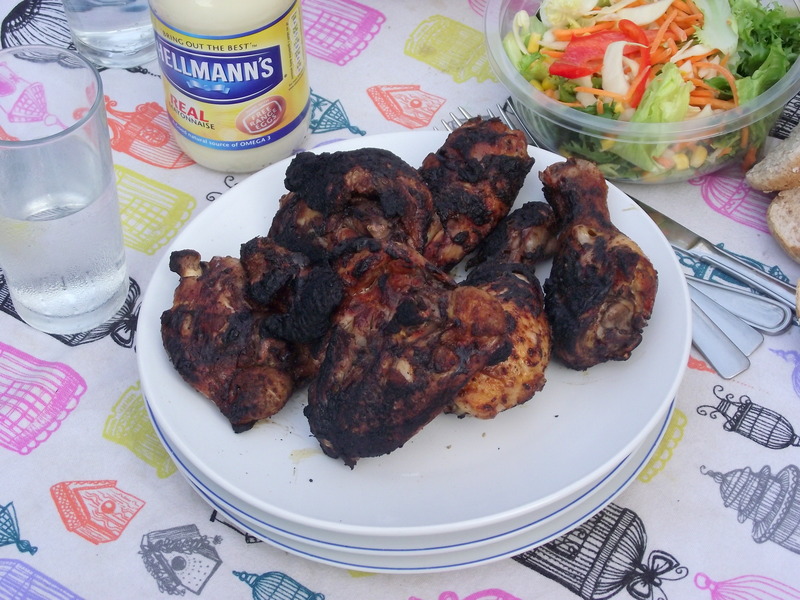 Place the packet on a rack in a baking sheet, and back at 150C for around 1 ½ hours. 4. Carefully open the foil packet and pour the juices into a small saucepan. 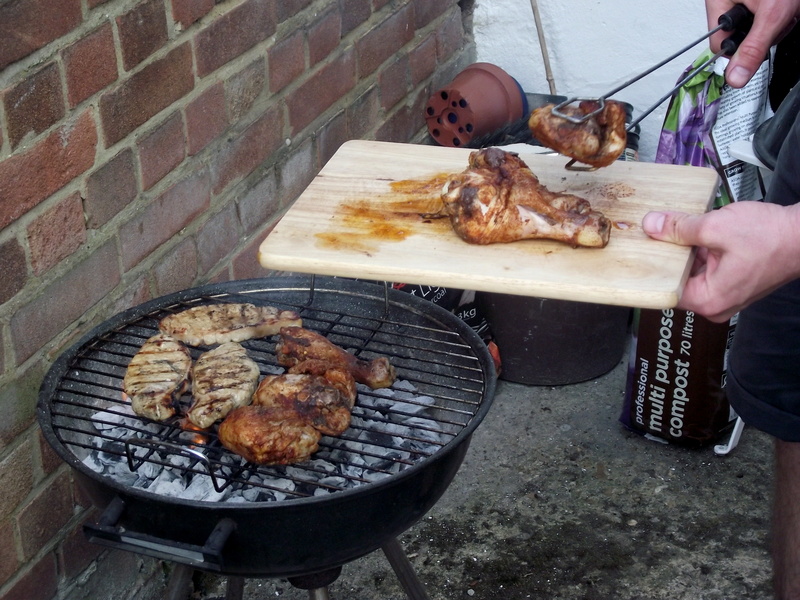 At this point the chicken will be pretty much cooked, so either put it on the barbecue to crisp up or under the grill. 5. To make the sauce, boil the juices and honey over a high heat for around 10 minutes until syrupy. Once thick enough, add the vinegar before pouring over the chicken. can I come round for some dry rub soon please?